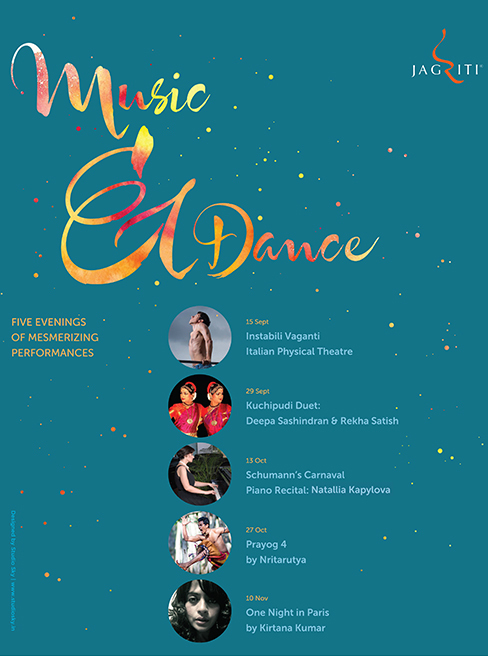 Deepa & Rekha will be presenting authentic Kuchipudi choreographies of legendary Kuchipudi Guru Late Padmabhushan Vempati Chinna Satyam and of his son Vempati Ravi Shankar. Deepa Sashindran-Kuchipudi dancer, Teacher, Choreographer, Art motivator & entrepreneur mastered the art form for more than 3 decades under guru the renowned Kuchipudi exponent. Manju Barggavee since the age of 8 as her prime disciple and currently being mentored on new innovations by Guru Vempati Ravi Shankar. She is a thinking Artist with creative organisational abilities and has received lot of accolades for her vivacious solo/ensemble dance technique, spellbound performances and natural charm for the Kuchipudi idiom in various prestigious festivals of India and abroad. Deepa is also a Human Resources Specialist in Software industry for last decade and currently an Entrepreneur in Human Capital Management Services and owns the company Karma Kreators. Rekha Satish- Kuchipudi dancer, Teacher, Choreographer, yoga exponent mastered the art from for more than 3 decades beginning under guru Lakshmi Rajamani followed by intensive training at Kuchipudi Art Academy Chennai under Kuchipudi doyen Guru Vempati Chinna Satyam and further pursued with Guru Manju Barggavee and now being mentored on new innovations by Guru Vempati Ravi Shankar. Rekha has performed extensively in India and Abroad both as Soloist and Group productions of her Gurus in prestigious dance festivals. She was also a Human Resources Specialist in Software Industry with companies like Oracle, HCL, Emc quit to pursue her passion dance & yoga.